Zaiyu Hasegawa, one of the most famous names in the Japanese culinary world, the head chef of Restaurant Den in Tokyo, the master of his ‘creative kaiseki‘ restaurant, stands before me. But he’s the supporting character, he says as he raises, a la Lion King, a furry little creature: ‘this one, this one is the head chef.’ It’s his dog. ‘Fun’ isn’t something one considers when describing a kaiseki experience, but this does puts a smile on my face. *Go Avengers*! #45 on the World’s 50 Best Restaurants; #2 on the Asia List. Two Michelin Stars. 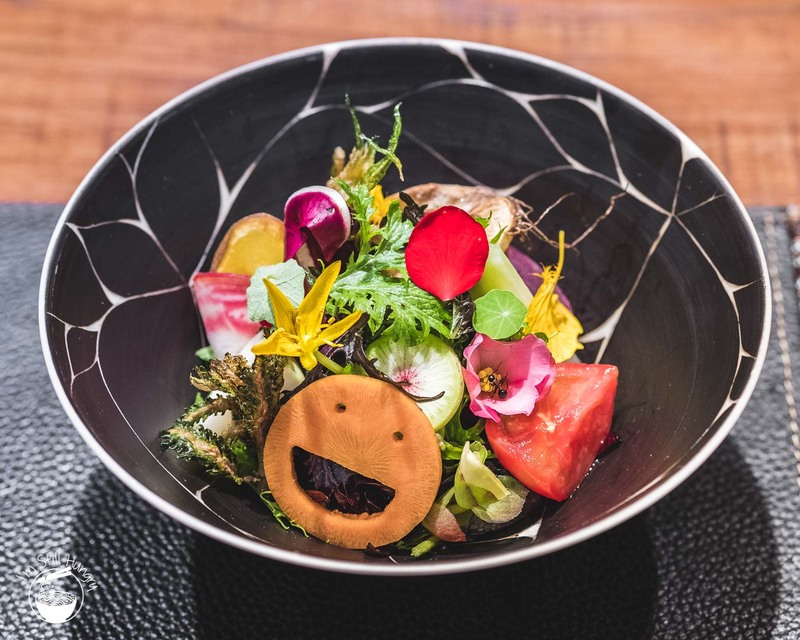 A restaurant where pictures of salad with a smiley face carrot compete with that of ‘Dentucky Fried Chicken’ for Instagram server space. 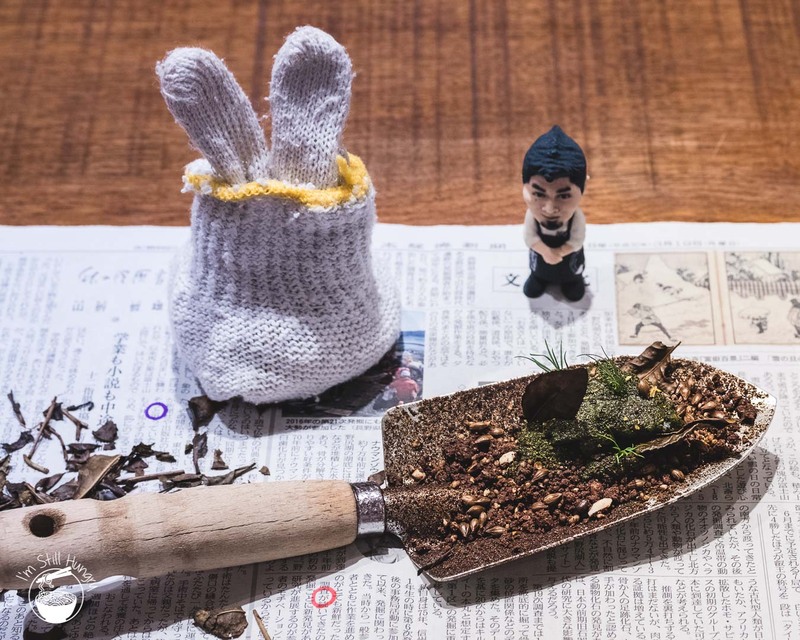 A restaurant that serves a dessert looking – and heck, even smelling – like dirt, served on a shovel no less. I know what you’re thinking – the gastro-tourist church’s organ plays particularly loudly at Den. A culinary tourist trap then? Do these guys even cook? 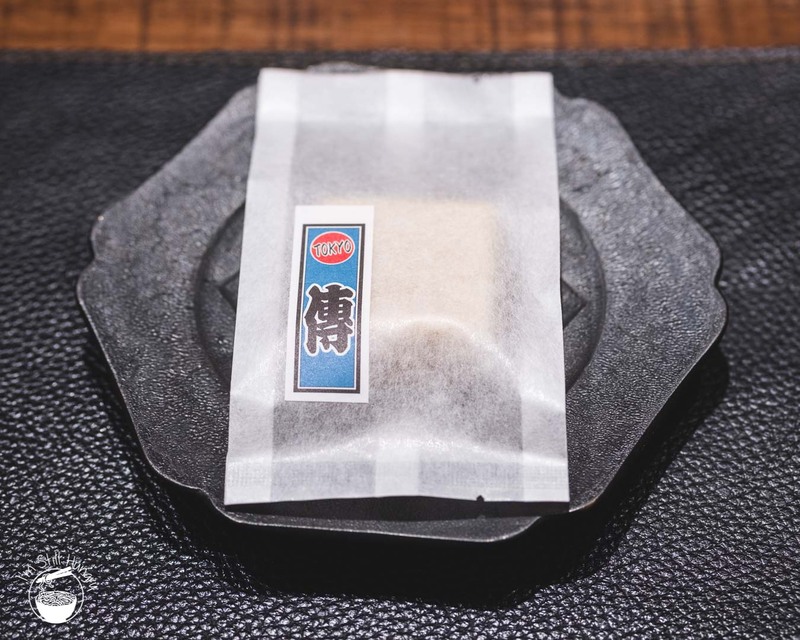 I formed my expectations of Den from reading a few reviews, seeing it hyped up in lists drawn up by people hardly better than a Mean Girls-esque ‘you can’t sit with us’ clique, and trending under the #choice #kaiseki #hashtags. Chances are, you did, or are doing much the same. 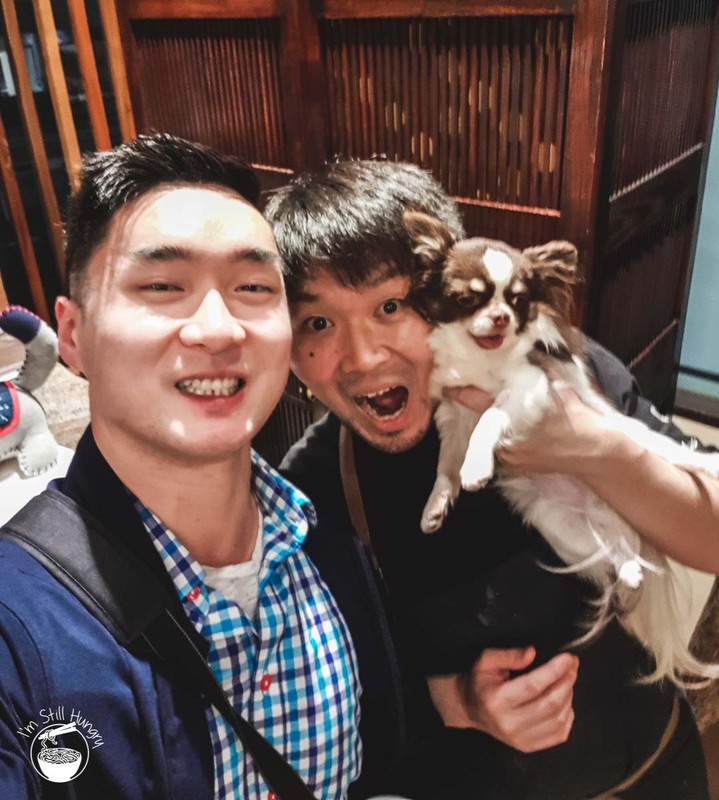 But It’s difficult for awards and Instagram posts to capture Hasegawa’s core philosophy, which no doubt, plays a great part in Den’s success story in the culinary world: to make the guest happy. There is the service, first and foremost: it’s not your classic Japanese subservience. 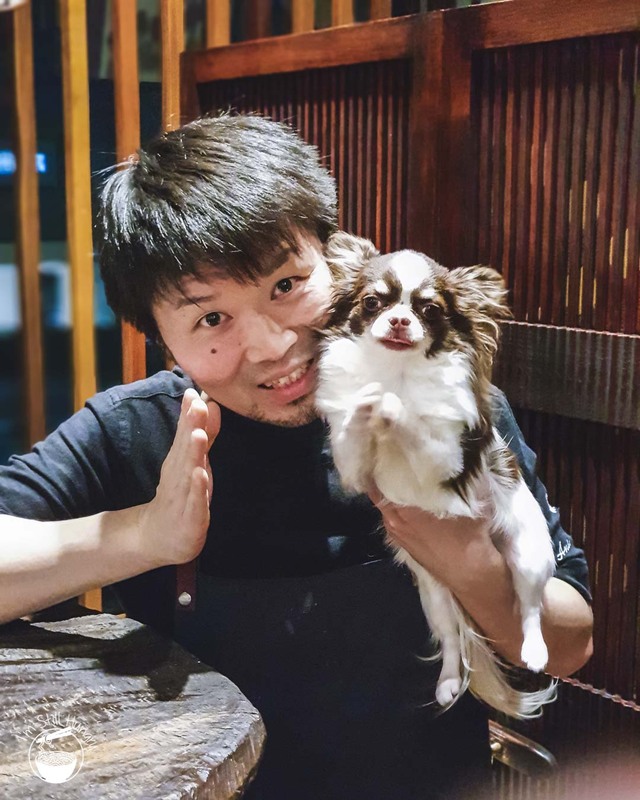 While omotenashi basics are a constant of the service staff, don’t be surprised when Hasegawa himself channels his inner Massimo, giving you a warm hug on sight! The staff, while assuredly not as touchy, are all smiles: relaxed and genuine, not at all forced. 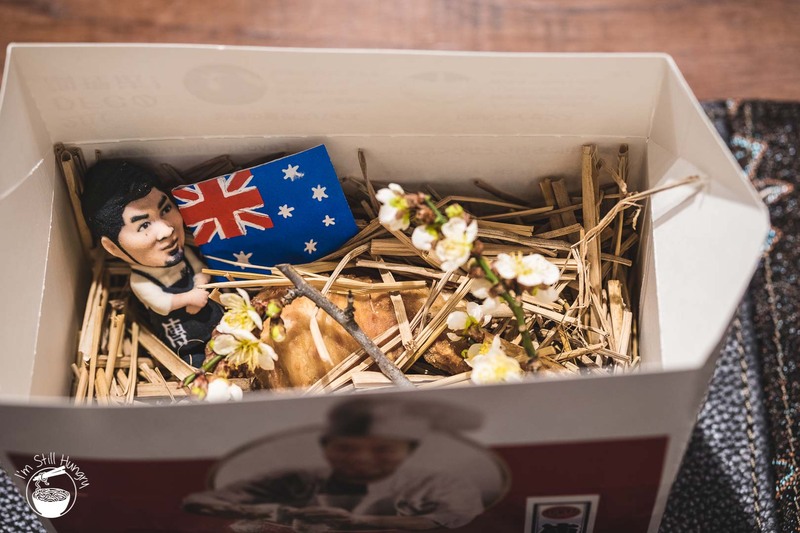 This can be seen when they’re more than happy to explain dishes in great detail; on the chef’s gleeful smile when presenting you Dentucky Fried Chicken – a riff on KFC – with as much excitement as the diner; when Hasegawa introduces the ‘true head chef’ at the end of the meal. Hasegawa, his wife Emi and FOH Noriko Yamaguchi are Den’s linchpins. They are the friends you never knew you had until you step through Den’s doors. There’s even a private room that receives orders from a special receptacle directly linked to the kitchen. Then there is the restaurant itself, which relocated in late-2016. 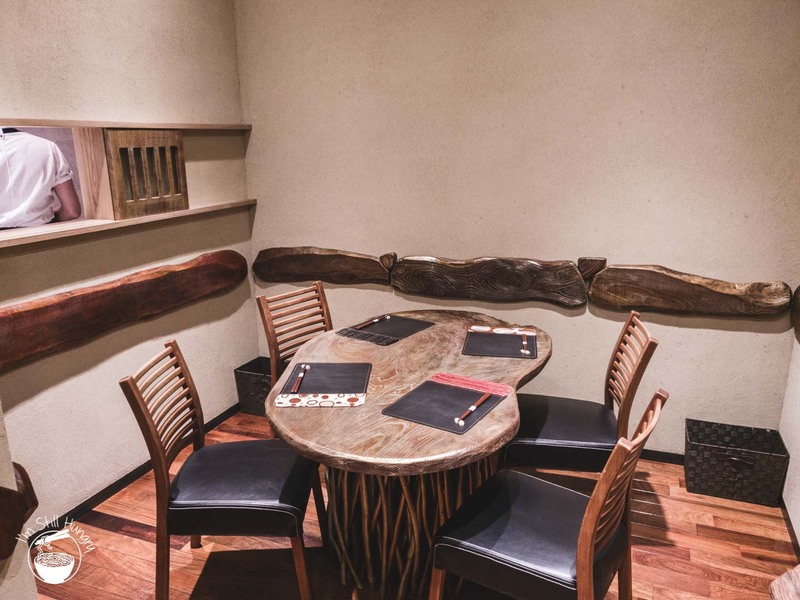 If you visit Den today, you will find an expansive space that seats at least 40, combining traditional Japanese accoutrements such as hinoki tables and counters, with modern design cues such as floor-to-ceiling windows. 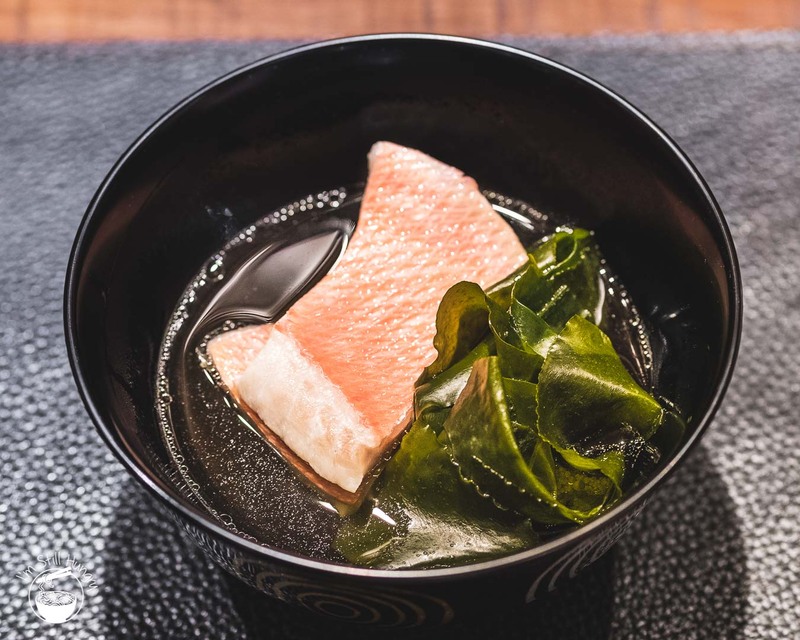 Far from the diminutive (albeit intimate) near-caves that describe the small-scale, counter-only restaurants emblematic of high-end dining in Japan – a description that applied to the old Den. 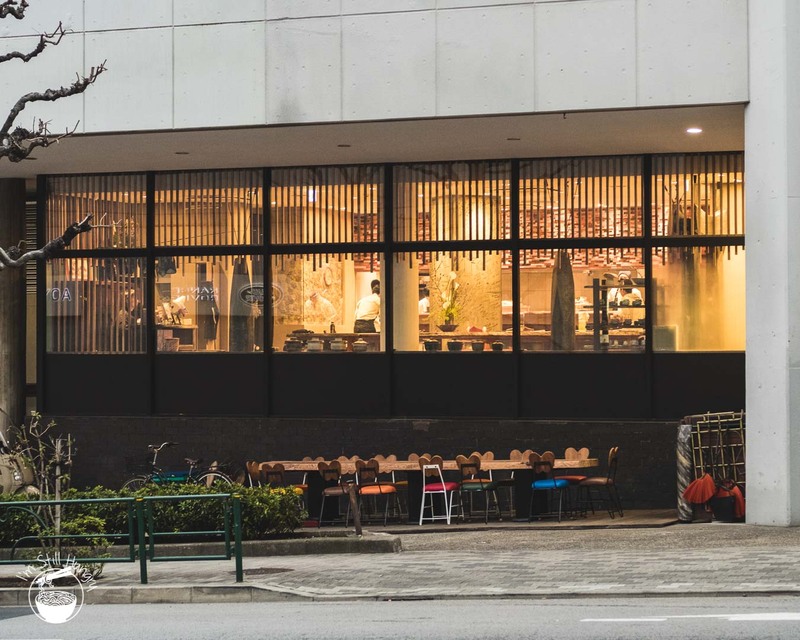 Hasegawa’s latest restaurant incarnation provides a level of separation between kitchen and diner much more akin to a Western-style restaurant fitout. There is more seating, more space, more light, more kerfuffle. 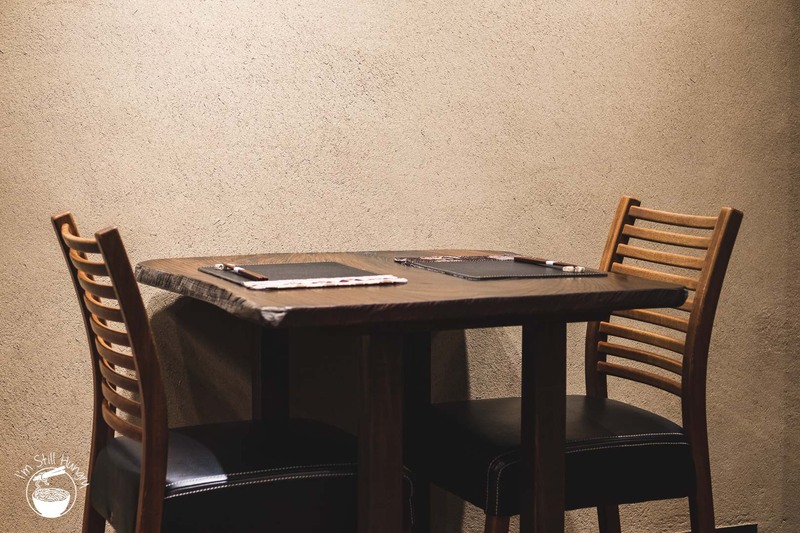 Diners can actually be comfortable in their own space. 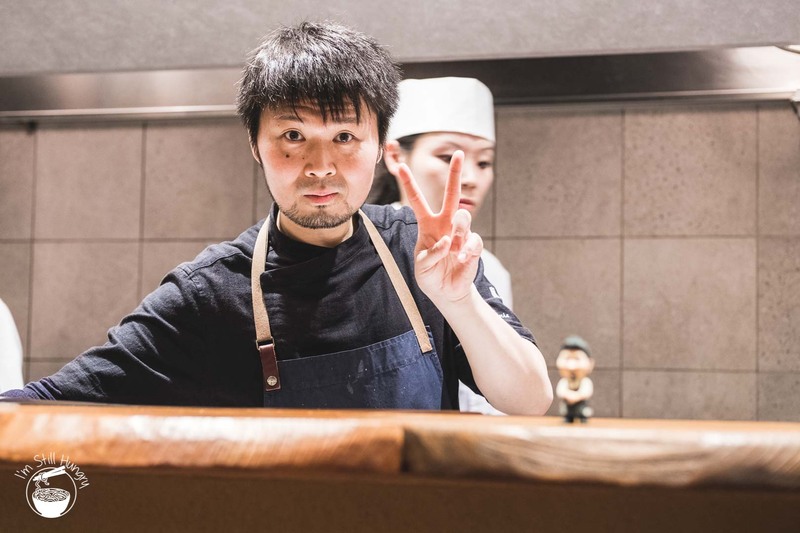 But importantly, none of the warmth attributed to small, intimate spaces is lost: Hasegawa, like the Energizer bunny somehow finds the time to cook and hop around interacting with each group of diners throughout the entirety of service. 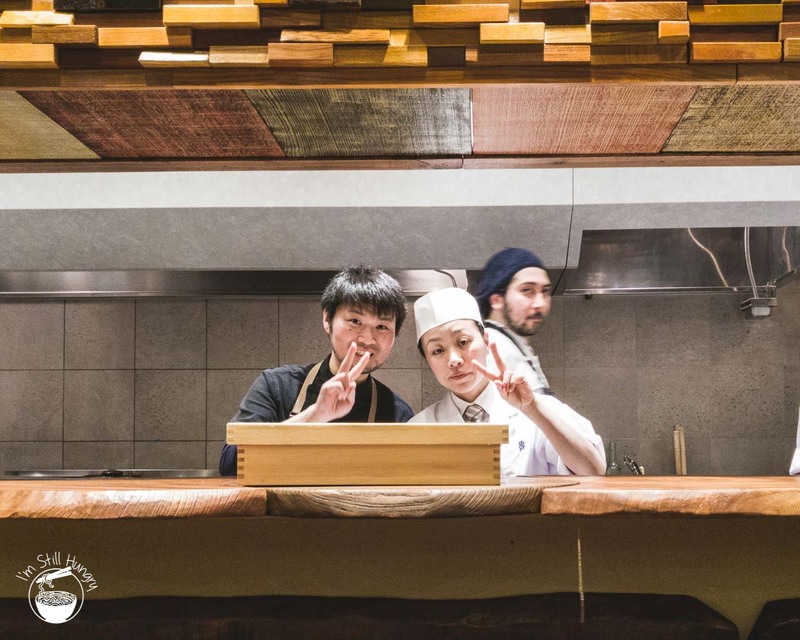 Unless in a group greater than two, you can’t look past the counter, literally: an elevated kitchen, horizontally spanning the restaurant, is high ground from where Hasegawa and Den’s chefs work. Right below this is another counter – this time for diners – the prime spots to watch the show, as it is to be watched. Den is relatively accessible for foreigners compared to other top-tier ryotei. 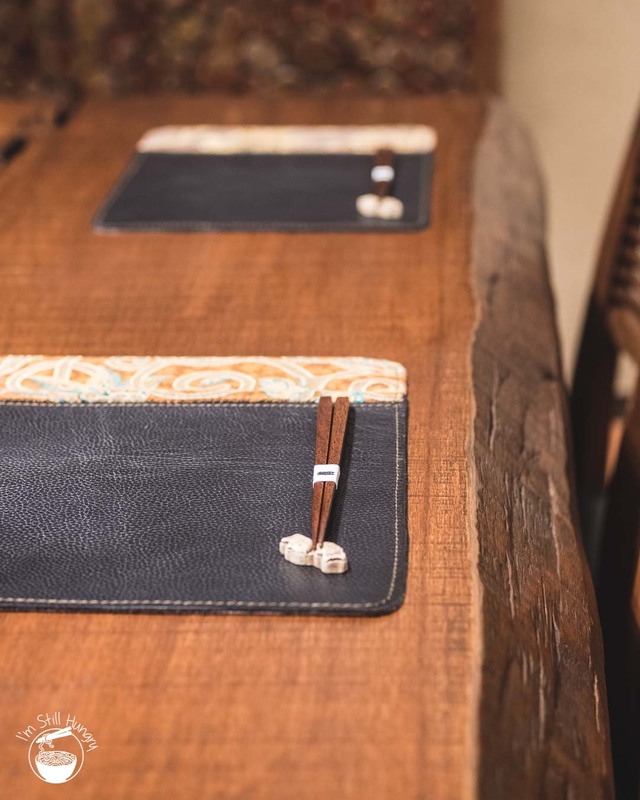 While the only way to book a seat at the table is by phoning the restaurant directly, you don’t need a concierge service or a friend who speaks Japanese to act as middlemen. That said, don’t be surprised if the number of attempts begin to elicit memories of Sashimi Shinsengumi’s booking process (because hey, you tried – right?). At this point, one begins to wonder: maybe an online system will work better? Maybe I’ll just Airtasker it next time. Hah. But once you’re in, you’re in: and from here on out, the fun begins. 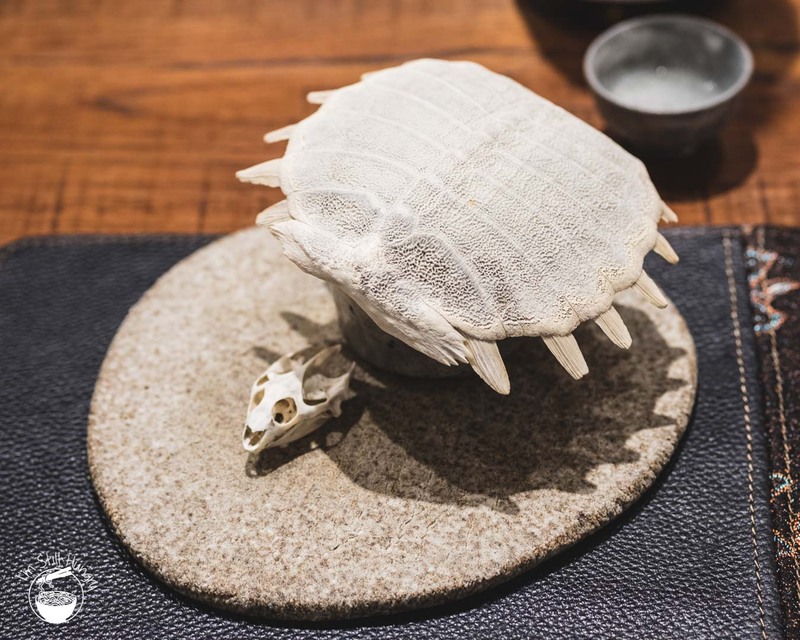 Hasegawa describes Den’s cuisine as ‘creative kaiseki‘, a ‘contemporary’ multi-course experience that respects centuries of tradition, but never takes itself too seriously. 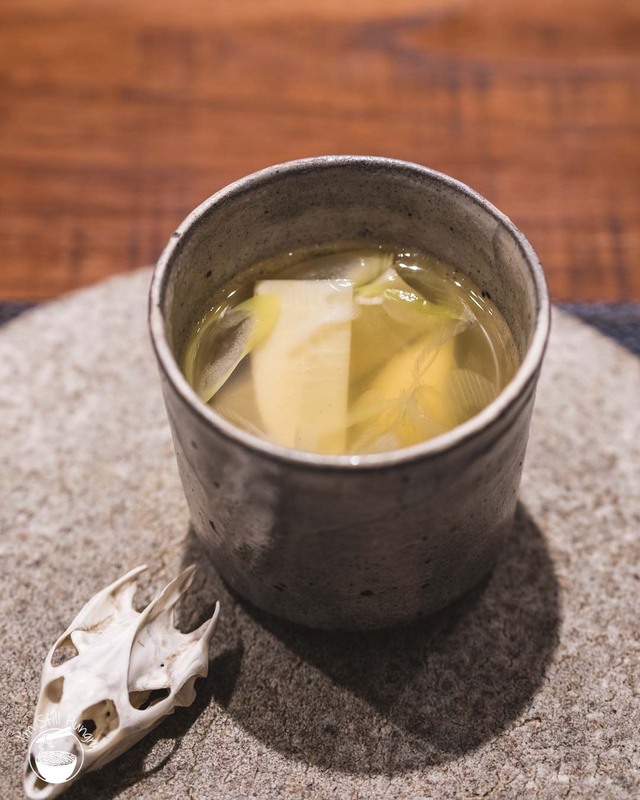 While the meal structure conforms to kaiseki for the most part, with its extreme seasonal variablity – the occasional international influence does make itself known. Expect it. The meal ran me 27,000 JPY, which while not a steal, is a fair price. What’s important is that by and large, my meal at Den was delicious, some dishes truly ‘whoa’ moments. 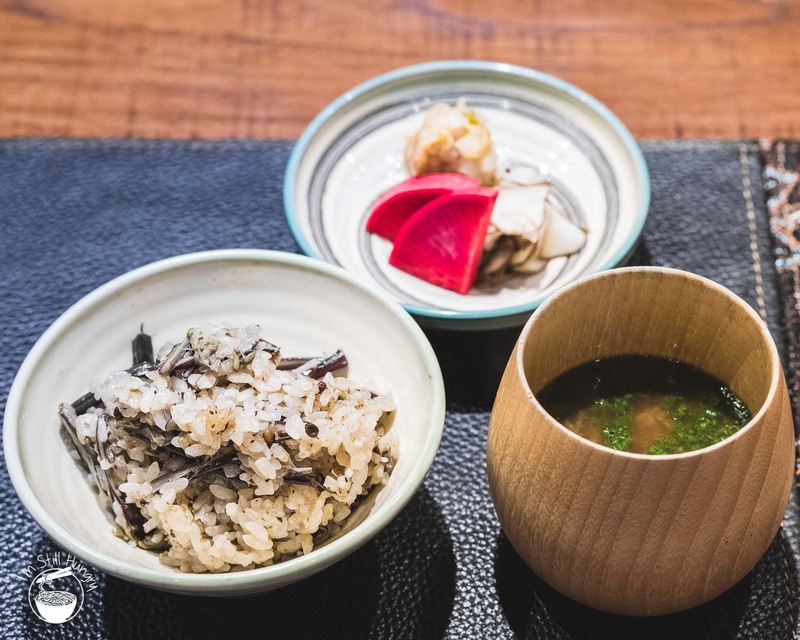 From the starter of foie gras monaka to the ‘tea-ramisu’ dessert, it’s food that you’re unlikely to find anywhere else in Tokyo – almost every dish at Den is by default, a signature. 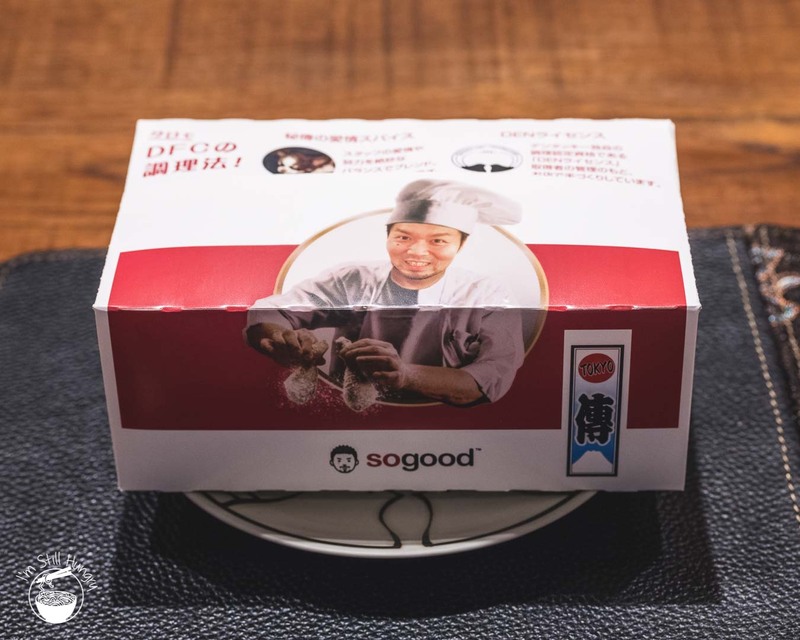 Put some French foie gras in a Japanese monaka, serve it in the style of Japanese confectionary and BAM, fusion appetiser and sakizuke all in one fun-sized package, right? 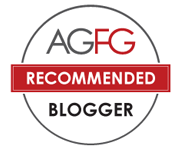 I suppose so, but that would be a disservice to Den’s foie gras monaka. This dish is about as unconventional as the meal will get. It’s a doozy of flavour: hoshigaki (dried persimmons), dried two months, 6-month smoked daikon, and foie gras from mallard ducks marinated for 10 days in shiromiso (white miso). Sweet, salty, umami, funky, crunchy, chocolatey(??? yes!?? ), balanced. Yes, this is actually turtle soup. No, it is not a big deal in Japan. Yes, please do control that look of revulsion on your face. Much like the Chinese, the Japanese believe turtles represent longevity and virility. Can’t fault the thinking. As Spring is nesting season, these durable chordates are at their best. That said, suppon is generally served without turtle meat. So relax, it’s just the soup; turtle broth, as it were. Still, the presentation is ever so dramatic, about as forceful as the white pepper taste that dominated the soup’s otherwise highly savoury but clean nature. While I couldn’t really taste ‘turtle’ per se, it was nourishing in the same way as chicken soup is on a cold day. The Japanese have a term for this – hottosuru – food that comforts, food that makes one go ‘ahhhh’. ‘The chef ran out of food so we had to get some takeout. 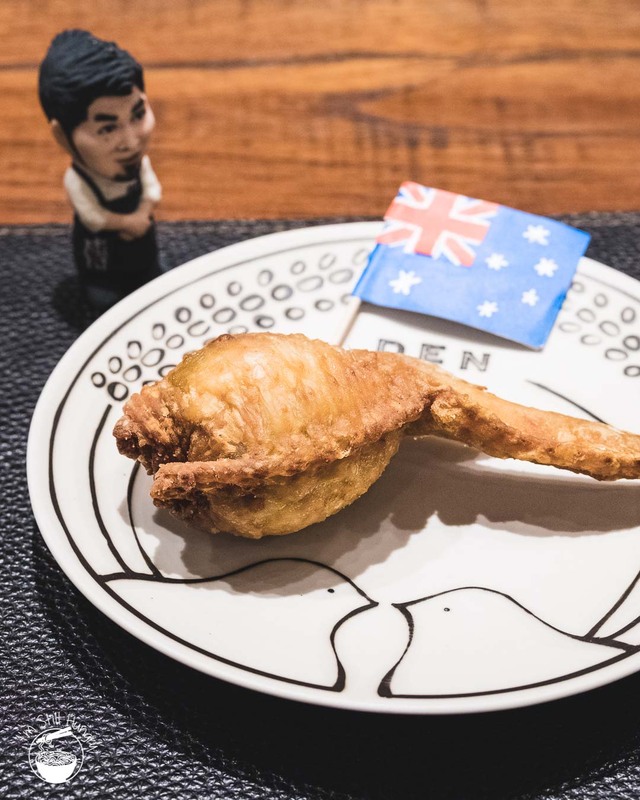 I hope you don’t mind *insert sly smile*’ – that’s how Den’s most famous dish, the Dentucky Fried Chicken, gets introduced. A de-boned chicken wing is stuffed with fresh, seasonal ingredients, belying a complex array of flavours and textures. On my visit, this happened to be aoume (green plum), glutinous rice flavoured with the plum’s juices, black sesame, and pickled daikon. While the DFC’s co-star ingredients did end up stealing some of the limelight from the chicken itself, I’m happy to say that juicy meat with light and crispy skin were all on the menu. 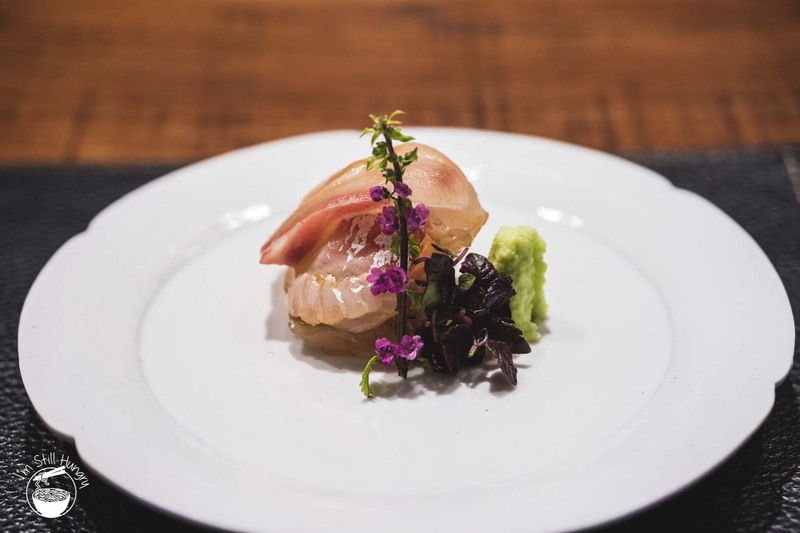 With all the histrionics of the first dishes bombarding the senses, a sashimi of kurodai intending to showcase otsukuri seemed meek in comparison. But a respectable dish? 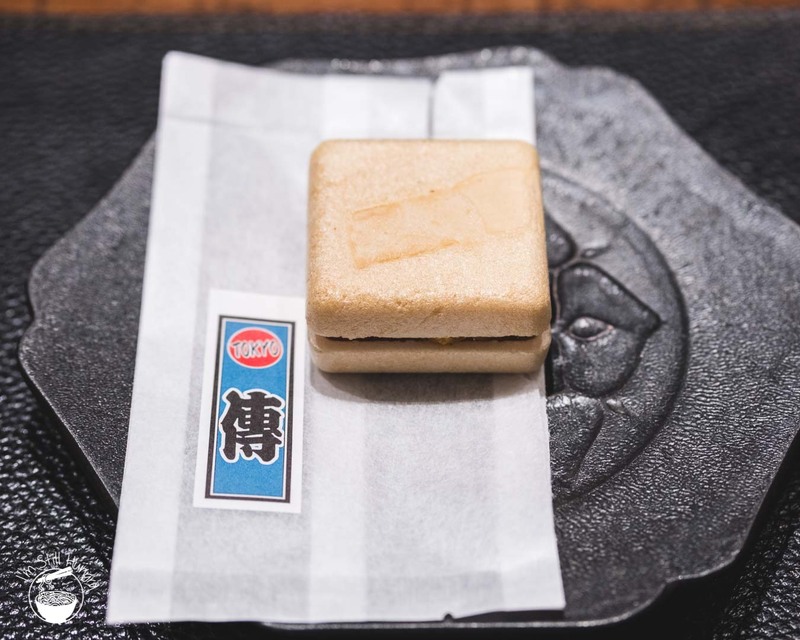 Certainly, with its soft, almost tofu-like texture backed by just the right amount of soy. Den’s choice addition of highly fragrant shiso flowers (swipe them off their branches with chopsticks) completed this most Spring of dishes. These beef cheeks were cooked for five hours. I ate them in 50 seconds. It’s a surprisingly French entry on Den’s menu, likely Hasegawa’s western training looking for a way to express itself. Additional questioning revealed that all of the ingredients – even the truffles – are from Japan (though their aroma? Weak). So that’s the deal. 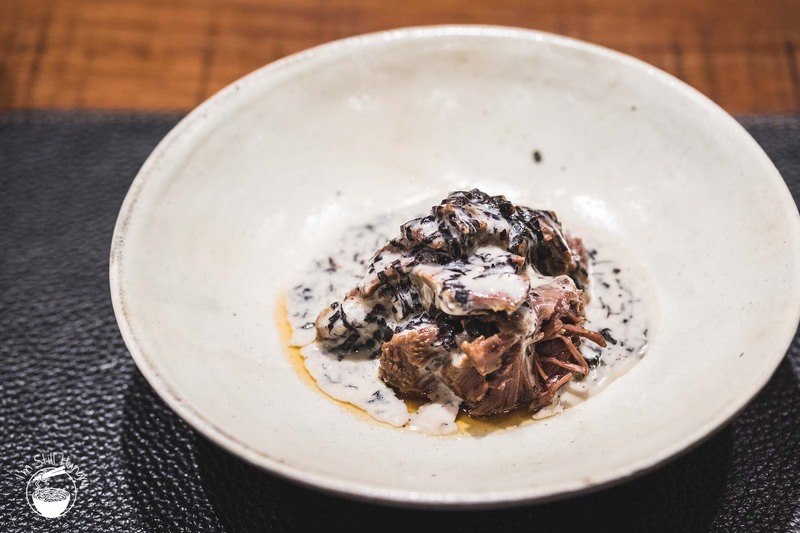 While the dish was delicious, and technically ‘local’, its foreign technique and flavour profile put it at odds with the rest of the meal – its heaviness came far too early. As if already aware of the issues caused by introducing heavy beef this early in the game, the sight of salad was a relief. Of course, *prepare for clichéd line* this isn’t just any salad – it’s the Den Salad. Made with twenty different vegetables harvested from Hasegawa’s gardens in Shizuoka & Chiba every morning, it’s pretty much as good as salad is going to get without introducing cheat codes like bacon or goma dressing. 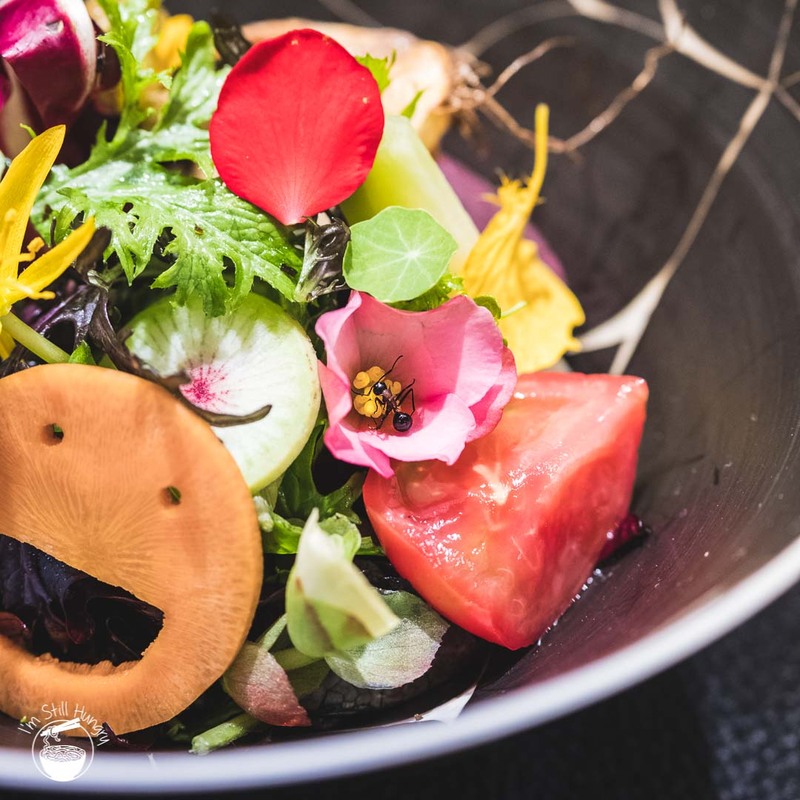 There were a myriad of textures and flavours – one vegetable tasted like a bitter cucumber with less water content, a tomato was bursting at the seams with sweetness, butterbur buds as bitter as my soul, an assortment of leaves that would make Benjamin bunny hop with joy and of course, the emoji carrot. But let me lay it out there, just this once: it’s a salad. If you let this become overrated for you, it can only be your fault. Don’t forget the poor ant! 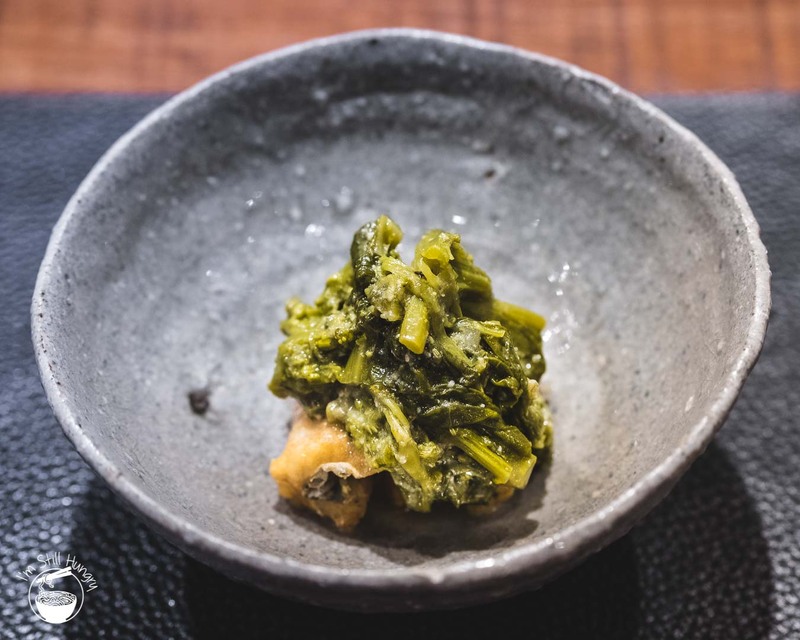 A nimono of fatty kinmedai with wakame was as comforting as it was simple. 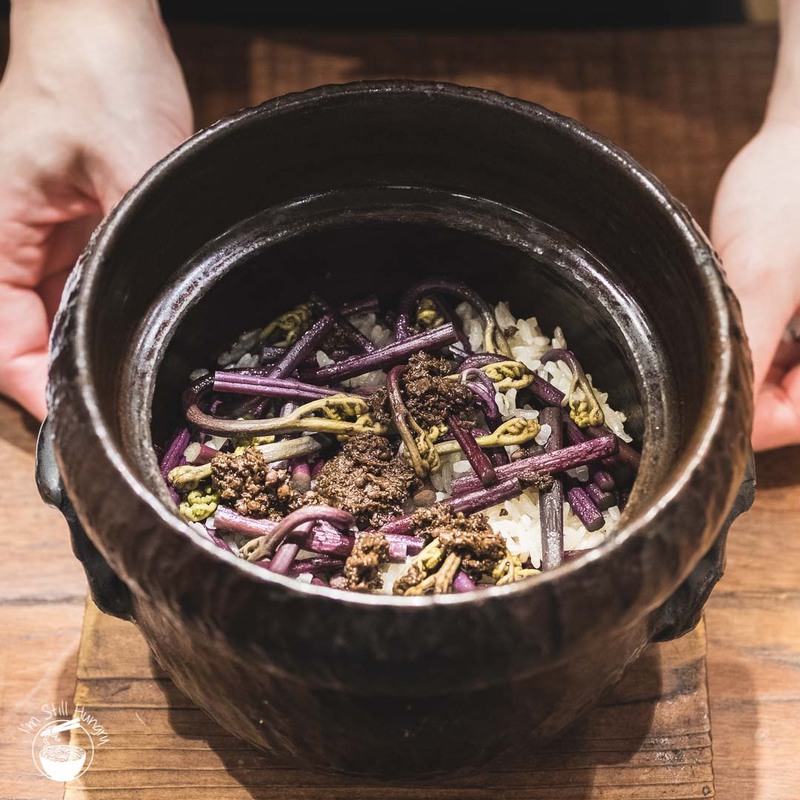 One of Den’s restrained dishes, this umami-laden bowl would be right at home in any of Japan’s countless kaiseki-ya. Another dish redolent of Spring, braised fuki no tou & nanohana on anago was a dish best described as ‘mushy’. I don’t mean it in a bad way, but I don’t mean it in a particularly positive way either. The anago, at least, was crispy and held up well. In terms of flavour, expect a whopping hit of bitterness and soybean as a result of the heavy use of butterbur buds and its respective goma-esque seasoning, albeit with more earthiness. Not a dish for everyone. Gohan, the signpost signalling the last of the savoury courses, Springs (sorry, the pun was right there) in full of fragrant sansho and warabi plants, along with kue fish. Gohan is always the course where I truly wish smell-o-vision would hurry up and be invented already – you really need to smell this in order to fully appreciate just why rice is such a big deal in Japanese cuisine. The heavy usage of mountain & wild vegetables in Den’s gohan meant that it was very easy to eat – I had three bowls of the stuff. It’s perfectly-cooked, the flavour is just right: slightly sweet, peppery, herbal and umami; nothing more was needed. Of course, tsukemono of red daikon, hakusai & interestingly Jerusalem artichokes, as well as miso soup were provided as par for the course. It’s just the way things are done. Pile of dirt tea-ramisu. The characters circled on the newspaper spell out ありがとう-arigatou. The last dish, what I consider a pile of dirt but Hasegawa generously calls the tea-ramisu, is a shovelful of bamboo charcoal chocolate ganache, roasted buckwheat, hoijicha leaves, dill, and matcha. While it’s easy to groan with an exaggerated ‘oh man, not another chocolate ‘dirt’ dish’, the reality is that it’s been a seriously long time since I’ve eaten what is supposedly an overdone finisher. So you know what? I’ll pay it. Original? Perhaps not. Inventive? Yes, somewhat. Delicious? Absolutely. The meal is over, but not without one last ‘petit fours’ of star comebacks. It’s not a coffee, but a pudding of sugar cane taken right to the edge, caramel and black truffle. A (literally) strong way to finish, with a Goldilocks amount. 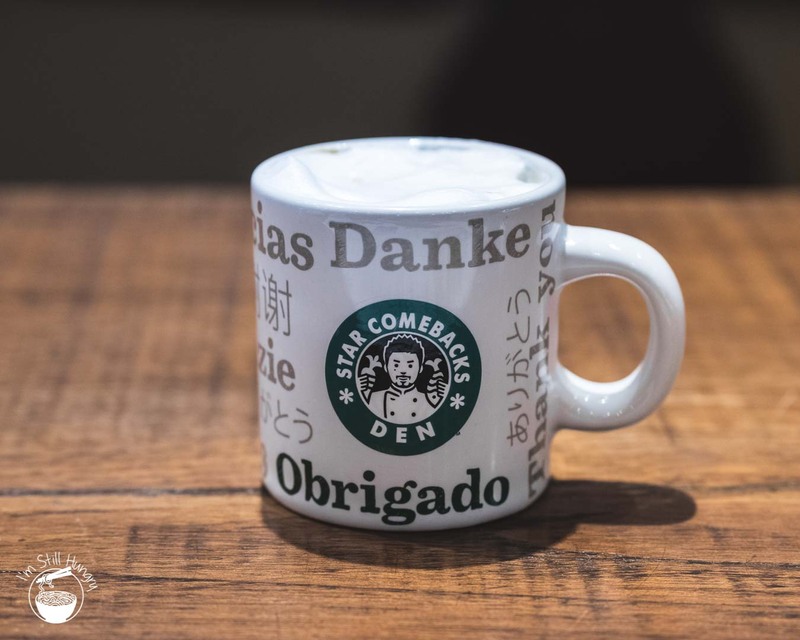 The mock Starbucks concept has been around since 2013, when Hasegawa began serving this as a direct response to Den losing its second Michelin Star in 2013. 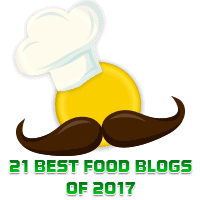 As the restaurant has regained its second star in the 2018 guide, it may be time to finally retire the stalwart – the kid has made his comeback. And you bet, I too will also make a come back. Out of all of your posts that illicit food envy, I have to say this one ranks extremely high. Not just for the food itself, but the environment and to meet Hasegawa-san himself, it all just looks like so much fun! Great write up as always. When are we going?